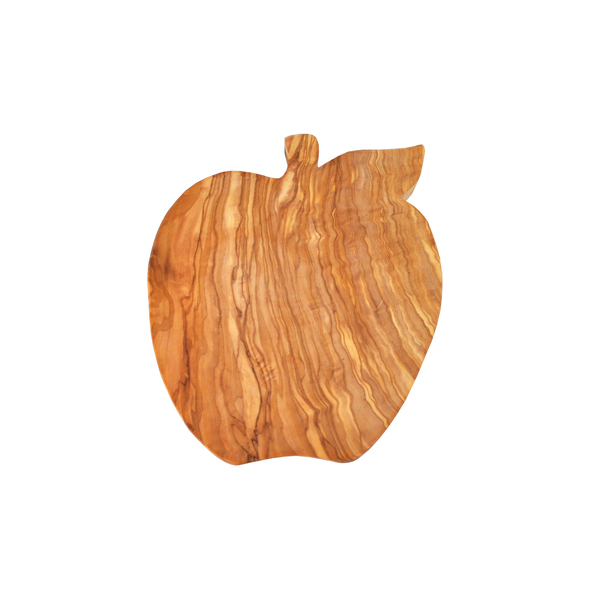 A stunning olive wood apple shape board. This board is perfect to use as a serving board, a cheese board or a cutting board. Shaped like an apple it makes a great teacher appreciation gift! Olive wood is patterned by the beautiful natural grain so each one is unique. Handmade in Tunisia. 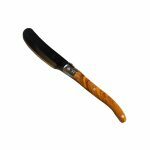 All of our olive wood products are ethically produced. Our products are made from the wood of trees which no longer produce fruit, furthermore trees are continually being replanted to replace ones used to produce our products.